GA Senate Bill 184 will disallow Georgia municipalities and counties from banning or restricting Pit Bulls or other dog breeds. The bill, authored by State Senator Ellis Black and supported by the American Kennel Club, passed the Georgia Senate on Wednesday, March 11, 2015 by a vote of 42-11. The bill next proceeds to the State House. LaGrange and Lawrenceville are presently the only GA cities that ban or restrict Pit Bulls. In 2001, Dekalb County passed a breed restrictive ordinance that banned pit bulls in residentially zoned areas. Dekalb was the lone Georgia county with a statutory breed restriction. However, the Dekalb statute was rescinded in May 2012. 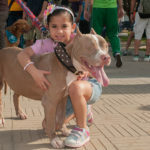 Nevertheless, political discussion to enact breed specific legislation had periodically cropped up in other localities and counties, especially when extensive media coverage occurred of a dog bite that resulted in severe human injury or death. Senate Bill 184 does not grandfather the existing LaGrange and Lawrenceville laws. Therefore, should the bill pass the House and become law, from the perspective of public safety and animal control, dogs will be evaluated as individuals, not characterized automatically due to their breed membership. For more information on the history of breed specific legislation and constitutional challenges to such legislation, please review the linked article contained within the CPT website: https://www.cpt-training.com/breed-specific-legislation. 1. Do you favor breed specific legislation? Or do you believe such legislation is irrational, improper, or violates property rights? 2. Was the GA State Senate right in disallowing breed restrictive local and county laws? Or should local jurisdictions maintain breed restrictive powers? 3. Do you agree with Federal Court decisions that have decided that breed specific laws are constitutional and fall within governmental rights to author legislation that provides for public health and safety? Or do you disagree with the Federal Court decisions? PLEASE COMMENT on the CPT Facebook Page within the Post dated March 14, 2015.